Do You Have Allergies or Asthma??? In the United States, about 17 million people of all age, race, and nationality have asthma. The Environmental Protection Agency and its Science Advisory Board have consistently ranked indoor air pollution among the top five evironmental risks to public health. Also, according to the American College of Allergy, Asthma and Immunology, 50 percent of all illnesses are caused by or aggravated by polluted indoor air. Over 40 million Americans suffer from allergies due to home bio-pollution. If you or your child has allergies or asthma, you already know that many things can bring on, or "trigger" an asthma flare or episode. 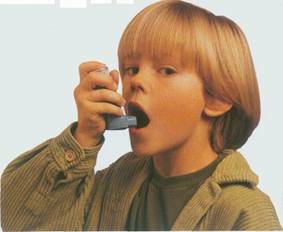 Some things that trigger asthma attacks are called allergens. Some people get symptoms from only one allergen-like dust mites. For other people, more than one kind of allergen can trigger an episode. Learn the facts about asthma and why having a healthy indoor environment is so important...Click Here Now! Discover What Scary Uninvited Guests are Sharing The Bed With You and Your Family! watch the shocking video clip! 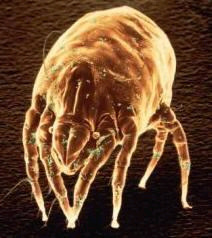 Dust mites feed on human skin cells and the average adult sheds 2 pounds of skin per year. What Are Dust Mites Really? Discover the first step to take in detecting and eleminating these harmful allergens from your home and office. Click Here to learn more about these tiny little invaders! Are Pet Allergens And Pollen Allergens To Blame For Making It Difficult For You To Breathe Easy? 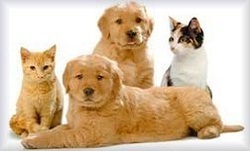 Powerful proteins in our dog and cat's dander, saliva and urine can cause pet allergies. Most pollens are light enough to be windborne and can penetrate anywhere, indoors and out. If You Have Any Questions About Dust Mites, Allergies or Asthma, Call us at 682-9483 or Request an Instant On-Line Cleaning Price Quote Now and Finally Get Some Relief!